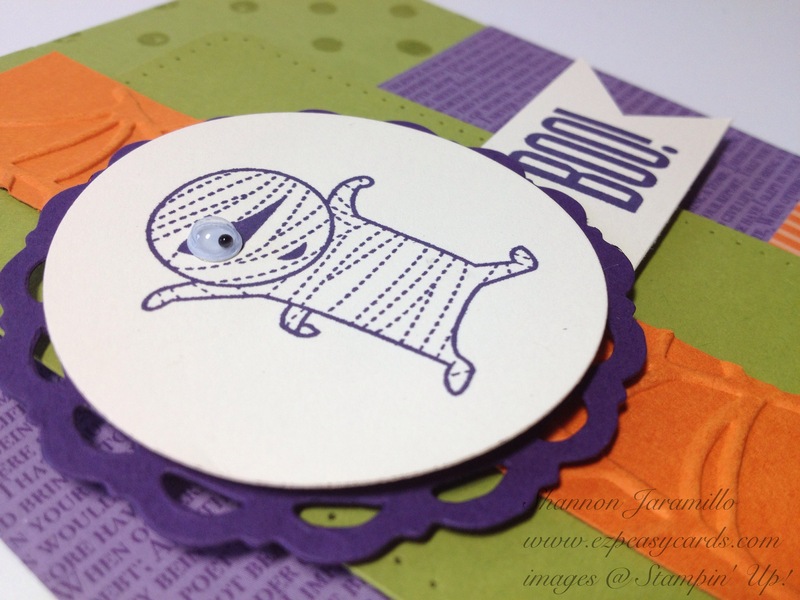 As promised, here is the companion project for my 'Silly Mummy' card because life is scary without chocolate! Wouldn't this make a great classroom treat bag? Or a Halloween party treat bag? It is so versatile and can easily be adapted to any occasion! 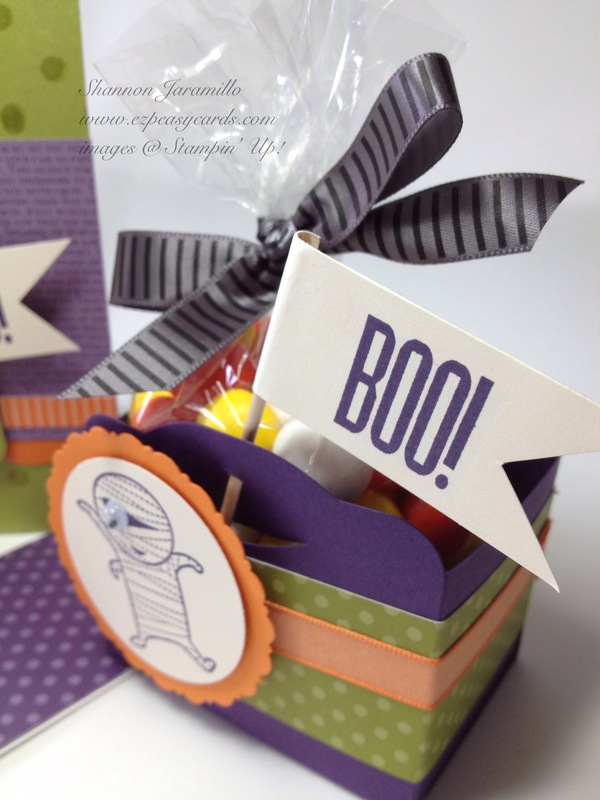 My treat box is in fact adapted from a version that was introduced to Stampin' Up! demonstrators at a recent regional event. 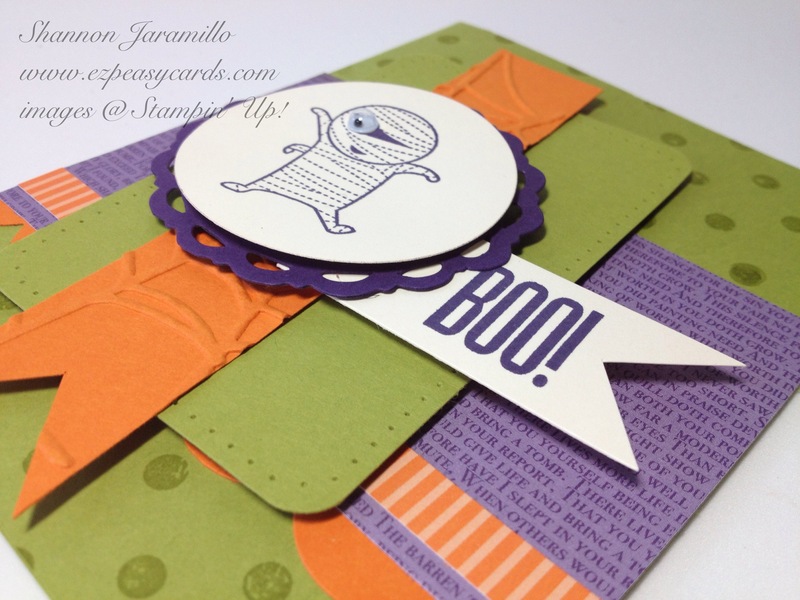 To create the box, use 2-7/8" x 6-3/4" cardstock; score horizontally at 2" and 4-3/4"; score vertically at 1/2" and 2-3/8". Crease the score lines using the Bone Folder. Where the score lines meet, create a "V"-shaped notch to facilitate folding and assembly. 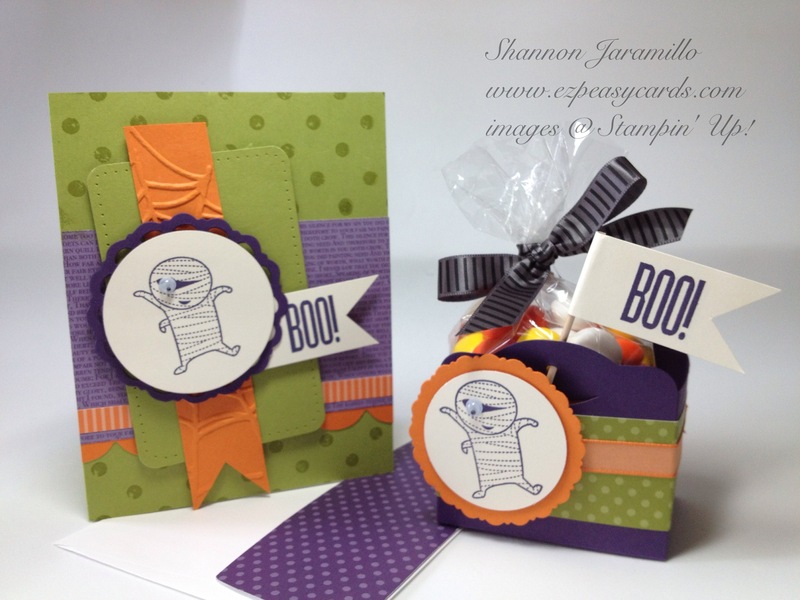 Die cut two tags in matching cardstock using the Two Tags Bigz Die and adhere them around the assembled box and decorate as desired! I stamped the sentiment and hand cut a banner and then adhered the banner to a toothpick. EZ Peasy! Be warned though, choose another treat to put in your treat box. Mine is filled with white chocolate candy corn M&M's. They were chosen for their bright colors and I thought that they did not sound appetizing at all...sadly I was proven wrong. They are rediculously yummy and I would not reccomend bringing them into your home!!! This little guy thinks he's scary...shhh, don't tell him he's just too cute! I'm not really a 'cutsie' kinda girl but I fell in love with this stamp set the moment I saw it and when I saw the colors for this week's Pals Paper Arts Color Challenge, I knew it was time to break this set out! To keep life interesting, I decided to stretch myself a bit and combine this challenge with the sketch over at Mojo Monday. I must admit that with so many layers, this sketch really takes me out of my design comfort zone. It can be overwhelming to build mentally so as I worked I took each layer down just a notch to keep all of them together from being overwhelming to me. Use texture rather than pattern to add additional visual interest without overpowering the eye...some paper piercing and a bit of embossing do the trick nicely! 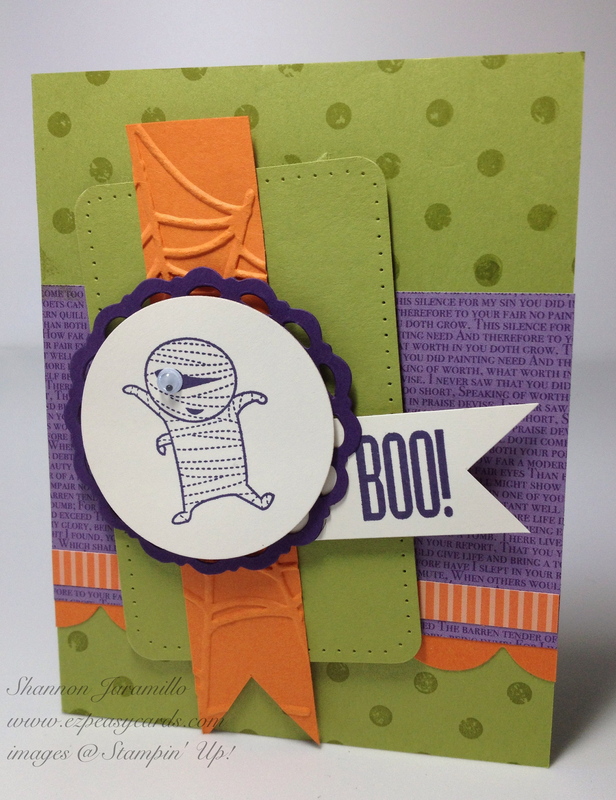 I hope you have enjoyed my little mummy and please check back tomorrow to see his 3-D companion!